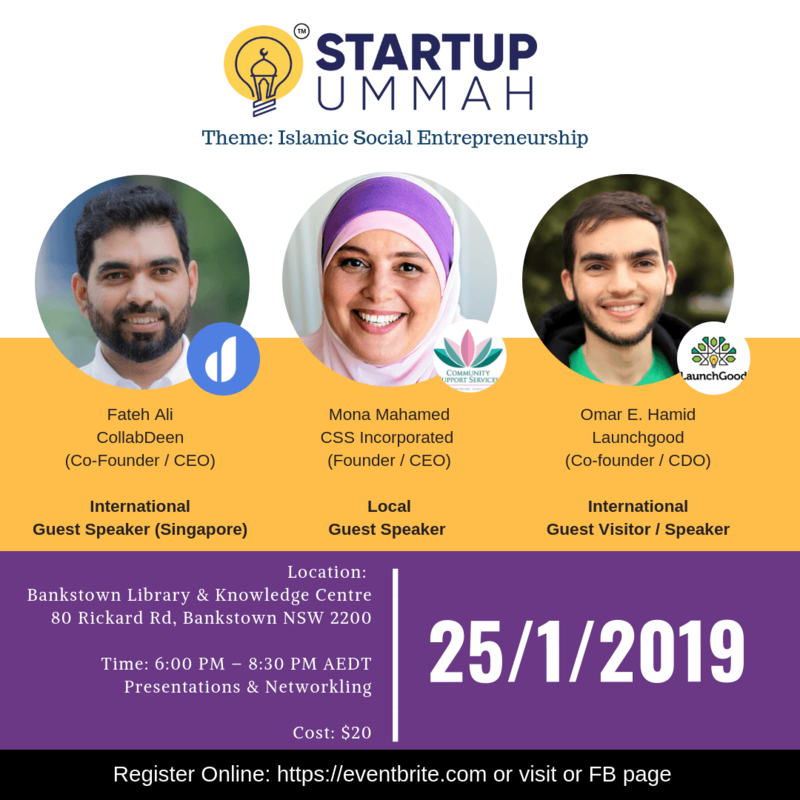 Welcome to the first Startup Ummah meetup tonight Friday 25 January with the theme “Islamic Social Entrepreneurship” joined internationally (online) by Fateh Ali from Singapore, locally by Mona Mahamed from Sydney and international visitor Omar E Hamid to share their experiences and perspectives on social technology platforms/entrepreneurship and social enterprises. 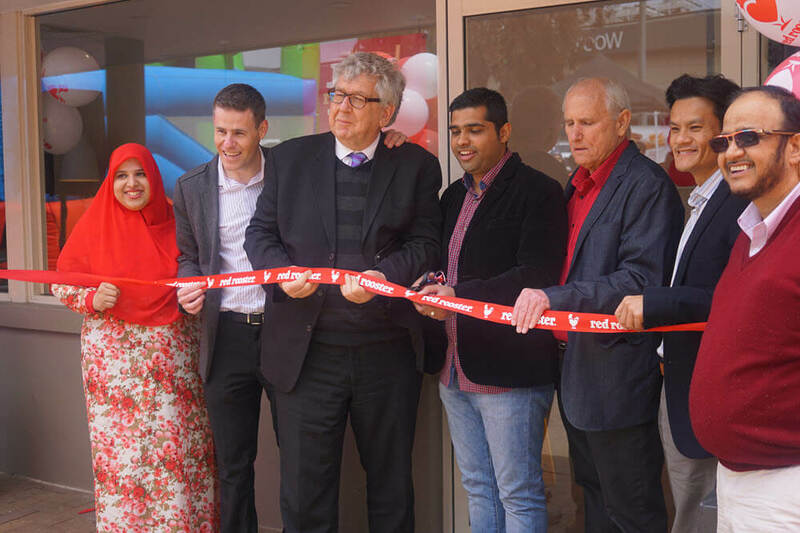 Fateh is passionate about solving complex real-world problems in Halal ways, who thrive on bringing multidisciplinary teams together across core research and application development to work in tight iterative loops to build solutions globally. With CollabDeen Muslims Around the World Centralize, Collaborate and Connect with their favourite Mosques, and Community Centres Anywhere, Anytime – Easily! CollabDeen will be the technology engine to connect global brands and products to consumers in the Global Islamic Economy to make the most of the global platform as one ecosystem. Mona’s passions for making a difference and helping people locally led her to found Community Support Services Incorporated in January 2018. 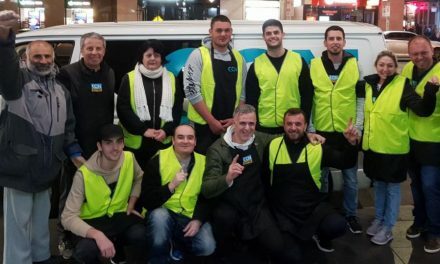 Community Support Services is a social enterprise aiming to help vulnerable individuals from low socio-economic backgrounds, providing engaging programs and a platform for social cohesion, particularly for those from CALD nationalities. Omar E. Hamid is a designer who uses entrepreneurship for social good. 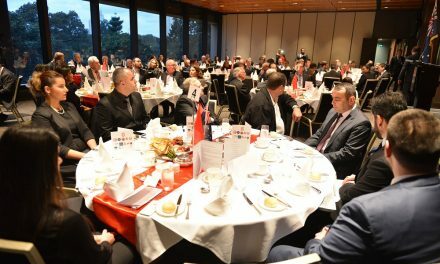 His focus is reviving a legacy of innovation and contribution in the global Muslim community to build an inspired future. Growing up in Atlanta, Georgia, USA, Omar founded a successful branding and web design agency in high school. Not long after, he helped launch two community-based startups, including the world’s largest faith-based crowdfunding platform, LaunchGood.com. During this time, Omar won an award, through the Stars of Science innovation program, for the design of the world’s first chair specifically designed for the Mosque, MySanda.com. Not one to take the conventional route, Omar decided to put his university studies aside to work for his growing businesses full time. 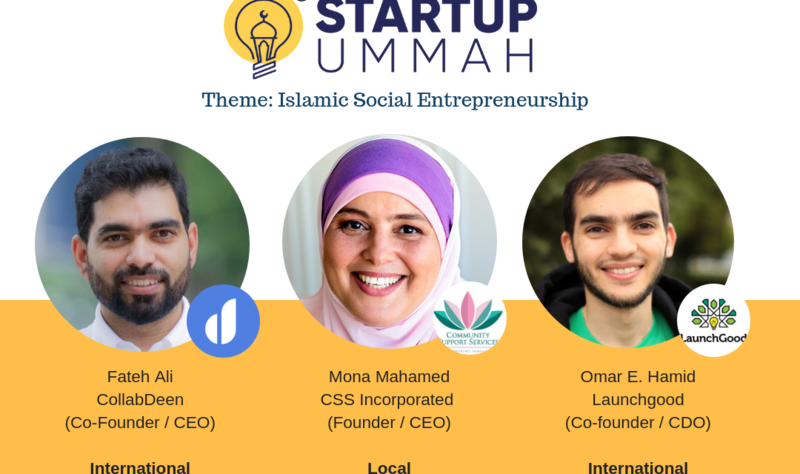 An innovator with an infectious spirit, Omar is always thinking of creative solutions to have a positive impact on the Muslim community and beyond.